Las Vegas is famous for being a city of indulgence and excess, but there’s to more to this oasis in the desert than just drinking and gambling. Each year the Las Vegas Convention Center hosts the International Consumer Electronics Show, which has the distinction of being the world’s most-attended trade show. 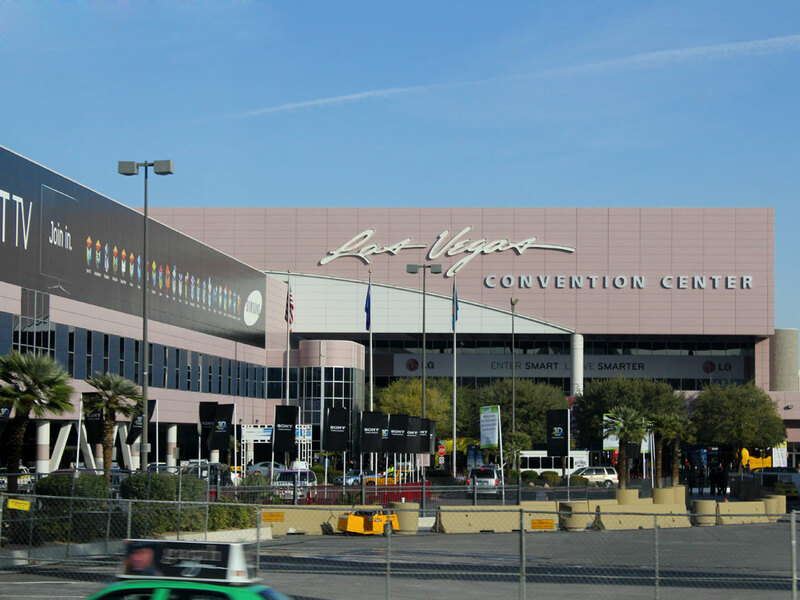 I was fortunate enough to attend the CES show for the first time in January of 2011. Watching the sunrise at Phoenix Sky Harbor Airport before flying to Las Vegas for the 2011 Consumer Electronics Show. 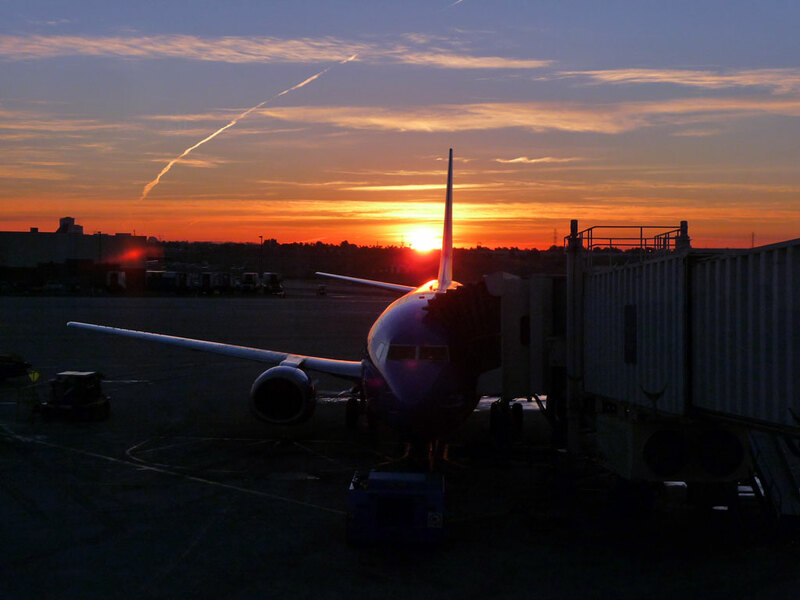 I was full of optimism as I sat in the terminal at Sky Harbor Airport, watching the sun come up on a chilly Friday morning. For the first time ever I would be visiting Las Vegas not as a tourist, but as a representative of my job. 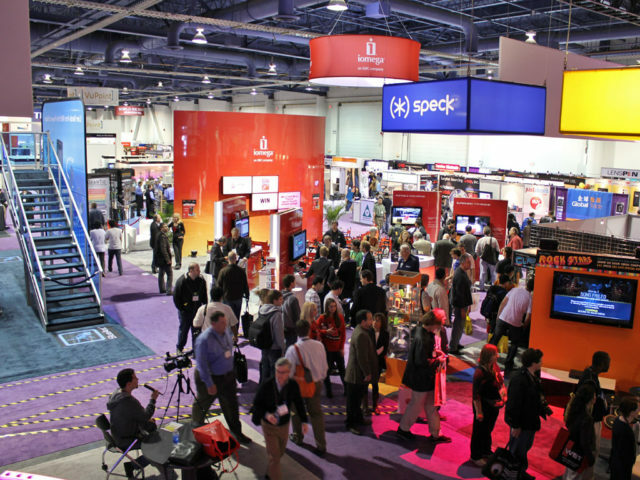 My mission was to visit the Consumer Electronics Show and gather information about the latest high-tech products for our company’s blog. My co-workers arrived at the airport one by one, looking tired and substituting a nod for the usual morning pleasantries. It wasn’t long before it was time to board the plane. The early-morning flight was uneventful, though I felt like it was special because our airplane was decorated with Southwest’s “New Mexico One” livery. 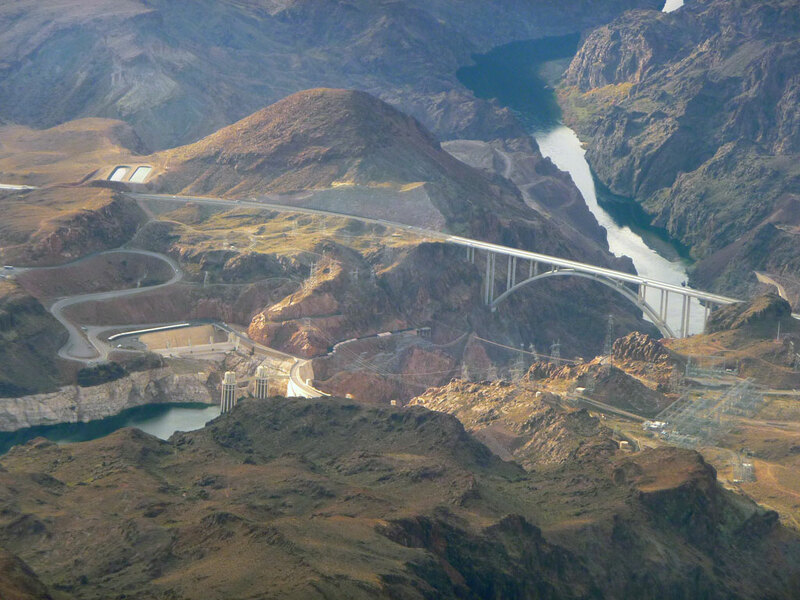 Despite sitting in the middle seat, I was able to get some fantastic pictures of Lake Mead and the Hoover Dam Bypass Bridge from the window of the plane. Aerial photo of the Hoover Dam Bypass Bridge. Notice the water level in Lake Mead is very low. (January 2011). We touched down at McCarran Airport and headed straight to the taxi line. Although the line was longer than some rides at Disneyland, it moved quickly. 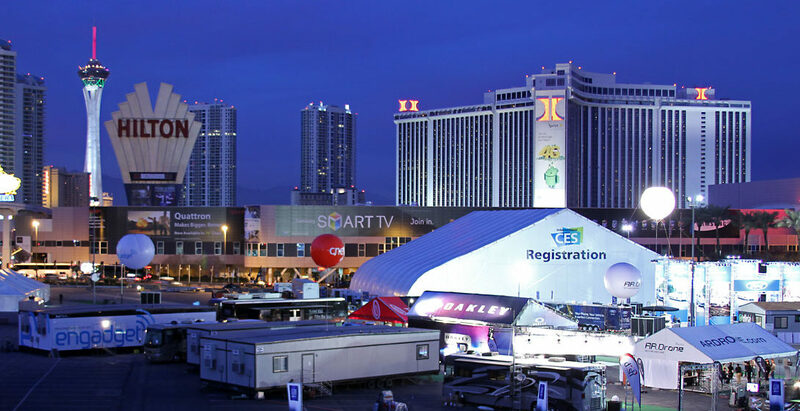 Our driver dropped us off at the Excalibur in record time, and with our bags checked in at the bell desk, we were ready to attack the CES show! 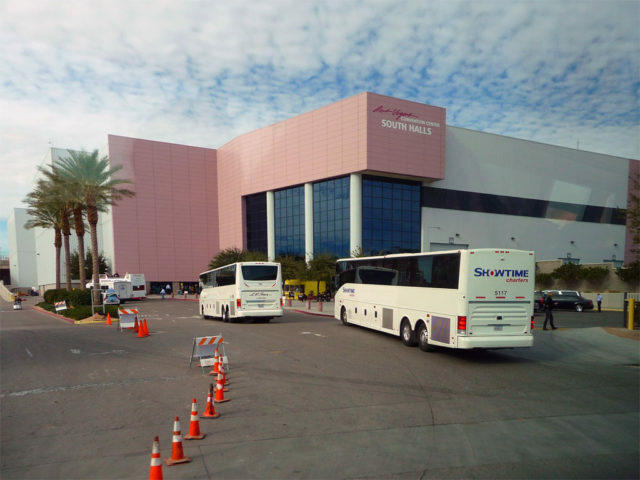 We caught a free shuttle bus from the hotel to the convention center, which provided me with a look at some parts of Las Vegas I had not seen before. 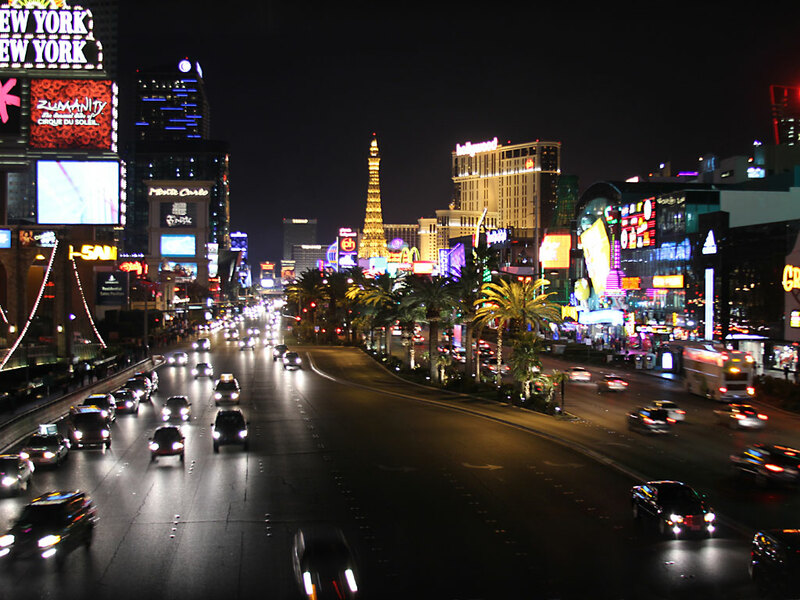 Just a few blocks away from the billion-dollar resorts and flashing lights of Las Vegas Boulevard, things began to look very different. There were rows of cookie cutter houses, strip malls, and suburban sprawl dotted by vacant lots. From this angle, Las Vegas began to look a lot like Phoenix. Because we had registered less than a month before the show, the four of us had not received our badges in the mail. Picking them up turned out to be quite an ordeal! The convention center staff at the main entrance directed us towards the Registration Pavilion. After two more redirects in there, we had to go inside the convention center and upstairs to a special suite to get our Press Registration badges. At last, we were ready to hit the show floor! A frenzy of activity awaited us inside the convention center. Walking into the Central Hall was like walking into Times Square during rush hour. Bodies packed every visible inch of space and they were all in a hurry to get somewhere! If you are even the least bit claustrophobic, the CES show is not a good place to be. As we shuffled our way through the masses, I determined that we were between the Intel booth and the Microsoft booth. 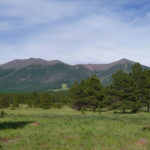 These were two of the largest exhibitors at the show, and we decided to move on and check them out later. 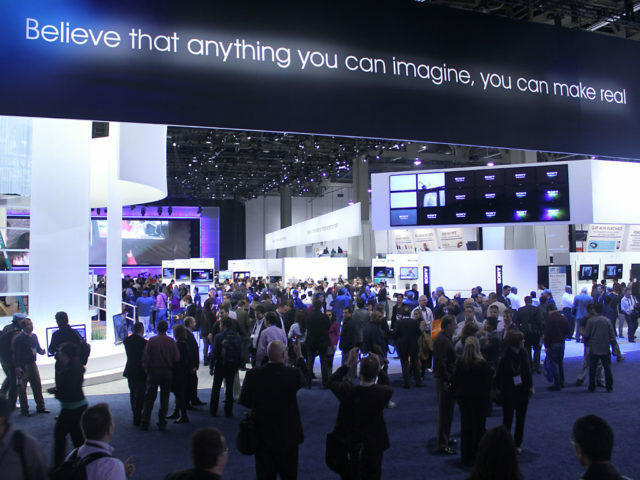 SONY Corporation’s gigantic booth at CES 2011. Further along in the Central Hall, we began visiting the booths we needed to see. Although it felt like we had been at the show for just a few minutes, a couple of hours had gone by and it was well after one in the afternoon when we went in search of lunch. Like the Central Hall, the cafeteria at the Convention Center was also overflowing with people. It took far more time to stand in line for a slice of pizza than it took to eat it. After lunch, we spent a couple more hours walking around the show before heading out at 5 o’clock. My shoulders were sore from carrying around the backpack with all of the camera equipment inside, and I made a mental note to lighten the load before the following day. We caught another bus back to the Excalibur where the company had booked our rooms. Arriving at the Excalibur via shuttle bus from the Convention Center. 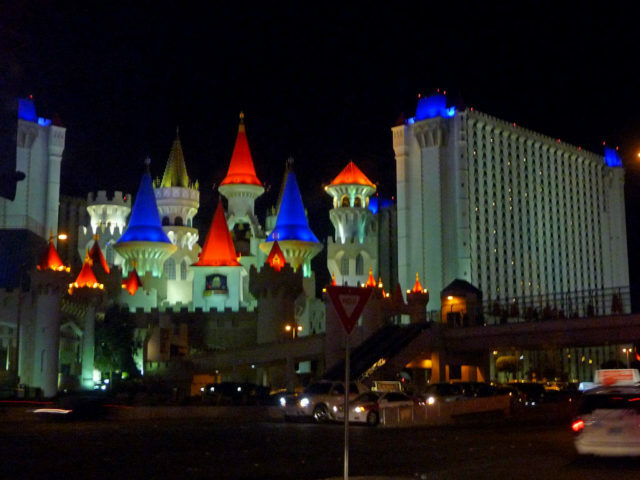 The Excalibur is not exactly the newest or fanciest hotel-casino on the Strip. First opened in June of 1990, The Excalibur is almost an antique by Las Vegas standards. The theme of knights and damsels in medieval times just did not appeal to me like it did when I was a little kid on vacation with my family. Because of its age and the countless reviews that included words like “value” and “bargain,” I wasn’t expecting much. When I checked into my room on the sixth floor of Tower II, I was pleasantly surprised! The room was very clean and featured plenty of modern comforts. 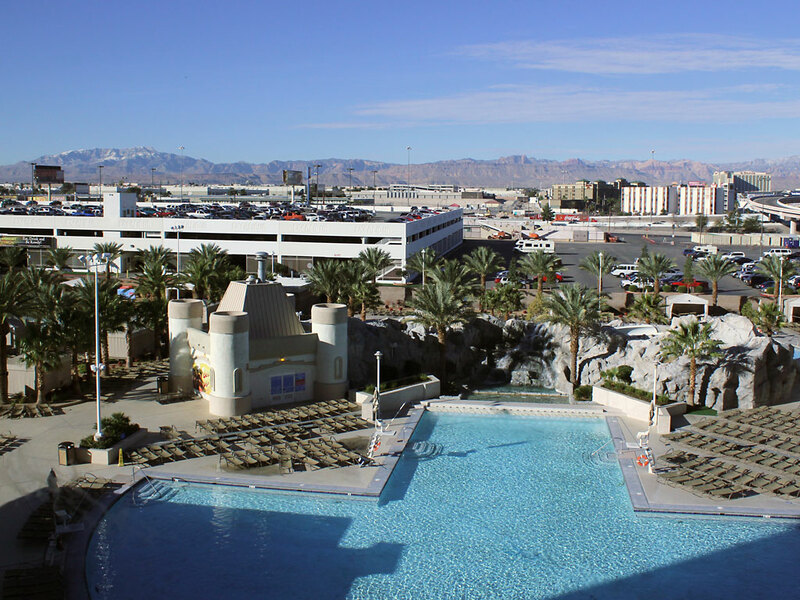 View from my room at Excalibur overlooking the pool with the Spring Mountains in the background. There was a large widescreen TV, alarm clock with iPod dock, and a queen-size bed with a very comfortable mattress. The bathroom had beautiful 12-inch tile flooring and there was even a hairdryer! My favorite part of the room was the view. From the window, I had a gorgeous view of the pool with the Spring Mountains off in the distance. After getting settled in, it was time to get some dinner. 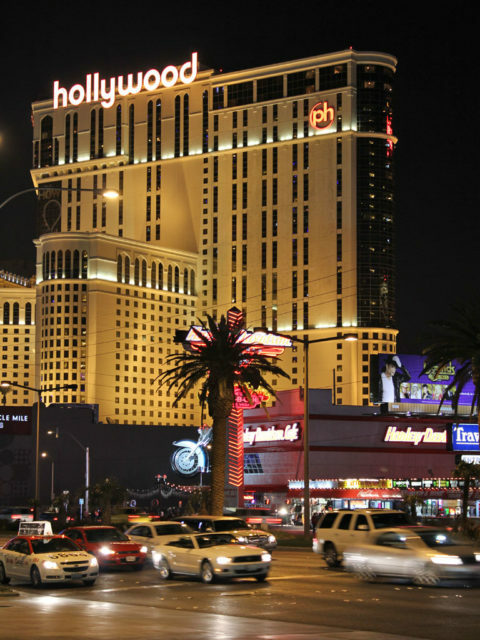 One of our vendors had generously offered to buy us dinner at the Planet Hollywood buffet, which was exciting since I had never been there before. I met up with my group in the hotel lobby and we caught a cab over to Planet Hollywood. One of the vendors treated my co-workers and I to dinner at the excellent Spice Market Buffet at Planet Hollywood. The dinner turned out to be a real treat! Planet Hollywood offered a first-class buffet experience that was far better than your typical Vegas buffet. After a very filling meal, we headed back to the room where I transferred the day’s pictures to the laptop. After that, I was out like a light. Morning came quickly, and I felt well-rested thanks to the surprisingly comfortable mattress. After a quick shower, I headed downstairs to meet up with my co-workers at the Sherwood Cafe. 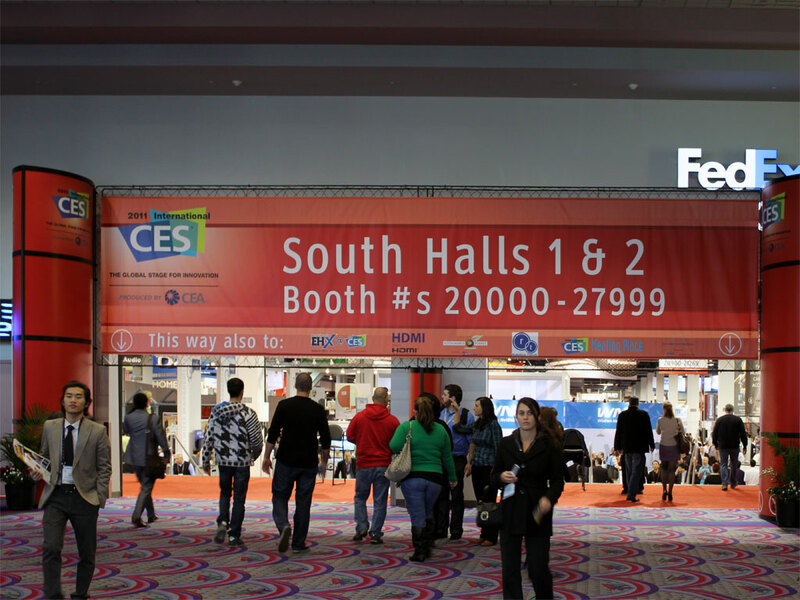 This would be our only full day at CES, and we needed to make the most of it. We worked out a game plan for the day over breakfast. Riding the shuttle bus to the Convention Center for Day 2. By 10am we were on the shuttle bus headed back to the Convention Center. With my lightened backpack, I was ready to attack a new day. We hit the show floor and started checking out some of the exhibitors’ booths. 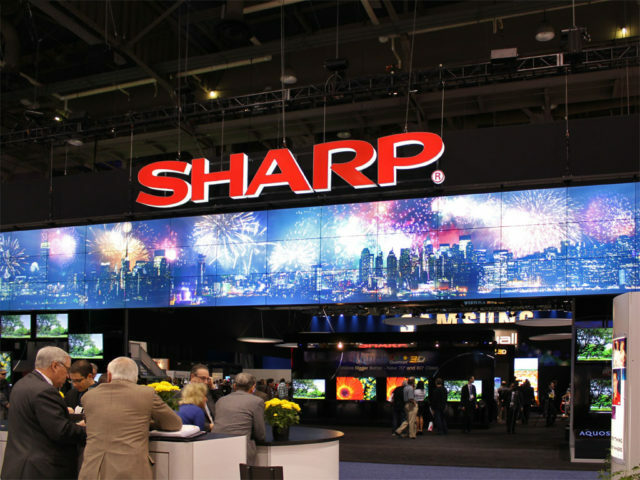 It seemed like every major electronics manufacturer was displaying a touch screen tablet computer or Android-powered device. You can only look at so many cutting-edge phones and mobile devices in a day before they all start to look the same. Still, we did see plenty of neat gadgets such as 3D TVs, remote-controlled quad-copters, and even a few robots. 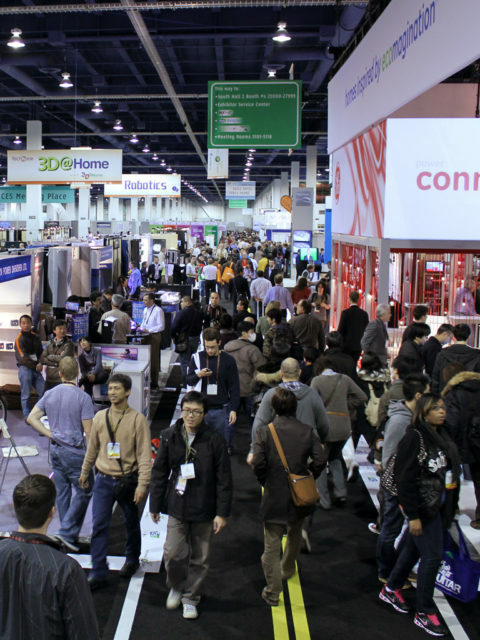 Exploring the show floor at CES 2011. By the time we decided to grab lunch, it was nearly 2 o’clock in the afternoon. We had walked everywhere inside and outside the Convention Center and finally stopped at the food court in the North Hall. I’m not sure which I enjoyed more, the hot food or the chance to give my legs a rest. We spent the rest of the afternoon wandering around the show floor until it was time to head back. A stunning, colorful sunset outside the Convention Center. As we were leaving the Convention Center, I couldn’t help but notice the gorgeous colors in the sunset. I sprinted up to the Las Vegas Monorail platform to try and get a better angle. Unfortunately I couldn’t stay long, as my co-workers were waiting for me and the temperature was dropping quickly as the sun went down. Still, I was pleased with the few shots I did get. We headed back to our rooms to settle down for a while. I dinked around on the laptop and soon it was time to meet up for dinner. The Excalibur’s buffet left a lot to be desired compared to the feast we enjoyed at Planet Hollywood the previous night. Still, the food was hot and filling and the dessert selection was impressive. After dinner, one guy in our group headed off to meet up with his brother who lives in Las Vegas. A co-worker gave me a crash course in Blackjack and I even ended up playing a few hands at the Excalibur. By the time I was up about $50 dollars, I cashed out. Call it beginner’s luck, but it really put a smile on my face! After walking the Convention Center all day, I did even more walking at night! 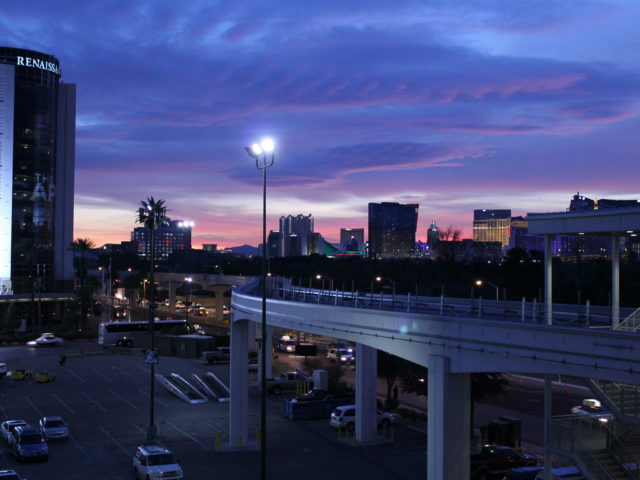 Although I was tired, I was eager to get some cool photos of the Las Vegas Strip with the company’s Canon EOS T2i digital SLR camera. A few co-workers decided to join me as we headed out into the chilly night air to gaze at the neon lights. Our excursion began with us walking north from the Excalibur up to CityCenter. The last time I visited Las Vegas in 2007, CityCenter was a dirt lot still under construction. Now, it was a massive complex of high-rise condos and luxury hotels. I’m not sure if we were in front of the Vdara Hotel or the Aria, but we found a free tram ride and rode it over to the Bellagio. We spent some time watching the fountain show before catching a taxi cab back to the hotel. Upon returning to the hotel room, I plugged my cell phone and camera into their chargers and promptly fell asleep. The morning of my third and final day in Las Vegas began with packing everything up and heading down to breakfast. I checked my bags at the Bell Desk and headed over to the Sherwood Cafe once more to meet up with the rest of my group. The two previous days had taken their toll on my co-workers, who were somber and quiet as we waited for the food to arrive. I got the feeling that I wasn’t the only one who was looking forward to going home. Before we could do that, we had a final half-day to explore the Consumer Electronics Show. The final day of CES 2011. As we entered the Convention Center on Sunday morning, it was obvious that the crowds were way down. The masses of people had been reduced to small clusters at each of the larger booths, while many of the smaller booths were empty. At last, we had some time to check out a few cool booths that weren’t exactly work-related! One of the most memorable moments of the whole trip was when we walked past the booth for Taser International. The manufacturer of non-lethal weapons was demonstrating their new civilian model, the C2. They were doing live tests on volunteers, and one of the guys in our group wanted to try it out! After signing a waiver, a Taser spokesman clipped two electrodes to his pants and gave him a five second shock. He yelped in pain as two Taser employees lowered him gently to the ground, while a crowd of onlookers cheered. My co-worker said it was pretty intense, and I certainly believe it! They presented him with a commemorative coin for passing what was essentially a standard test for law enforcement officers. We finally left the convention center around 3 o’clock in the afternoon. 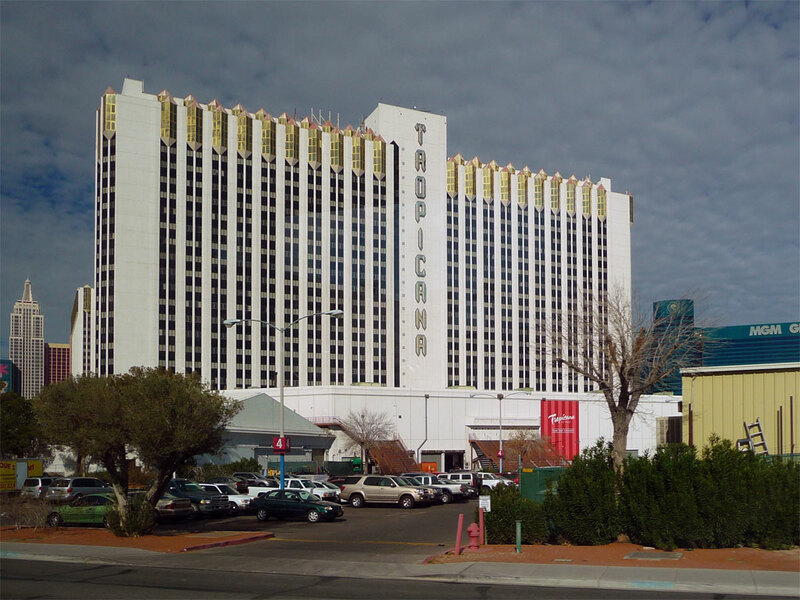 With no taxis at the Excalibur, we walked to the Tropicana and hailed a ride from there. We rode the free shuttle back to the Excalibur for the last time. 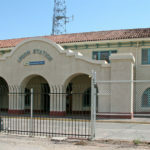 After picking up our bags at the Bell Desk, we walked across the street to The Tropicana in search of a discount-fare airport shuttle we had heard about. The shuttle was nowhere to be found, so we ended up taking a minivan taxi cab to the airport as it was the only vehicle that could hold everyone plus our luggage. At the airport, we unloaded our luggage from the chaotic taxi lane and rushed inside to get checked in. Southwest Airlines had a handy electronic check-in kiosk that was really fast. We hoofed it towards the gates, expecting a massive line to get through security. To everyone’s surprise, there was no wait at all! In a matter of minutes we had all cleared security and were at the gate. With over two hours to go before our scheduled departure time, we descended on the food court for lunch. Once again I went with pizza; it is one of my all-time favorite foods! After a leisurely lunch, we meandered over to the gate and found a row of chairs near the window. Everyone settled in to their books, laptops, and smartphones as we waited for our plane to arrive. I headed over to the window and had a blast photographing planes taking off into the setting sun. At last, 6 o’clock rolled around and we lined up to get on board. 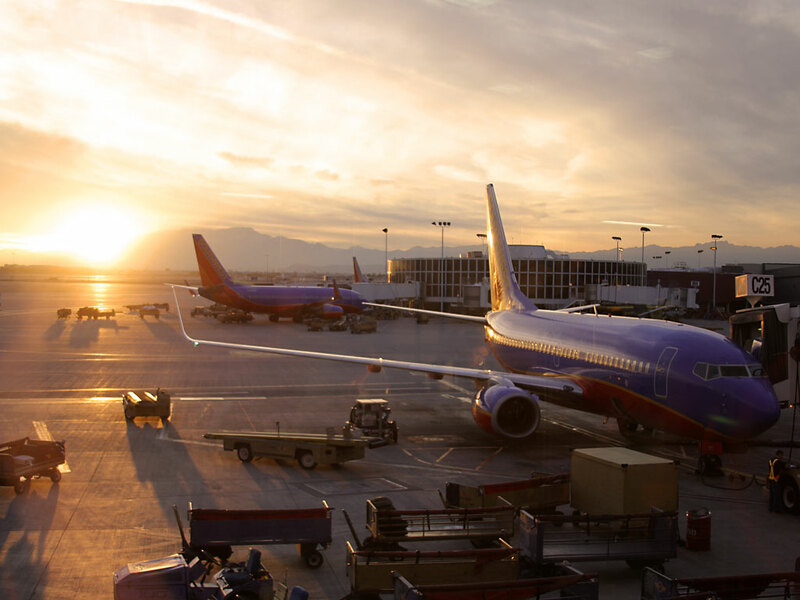 A gorgeous sunset on the ground at McCarran Airport in Las Vegas. The flight back home was completely full. There was barely enough time to enjoy a cup of soda before we were making our final approach to Phoenix Sky Harbor. As it turned out, we ended up getting stuck on a holding pattern before we could land. We made a couple of large circles over Phoenix before finally touching down at 8 o’clock. Overall, my first company trip couldn’t have gone better. I got to see and experience lots of new things in Vegas, got some great pictures, walked the floors of the world’s largest trade show, and even went home with a little cash in my pocket. It was a great trip that proved you can combine business and pleasure!